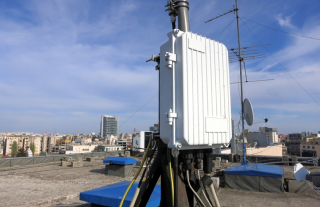 The YateUCN is a unified core network solution intended for new LTE networks, for upgrading GSM/GPRS networks to LTE or for extending existing LTE networks. The YateUCN software-defined core implements all the functions and protocols of the LTE core network in software, and uses commodity hardware. It integrates the EPC layers - MME, PGW, SGW, PCRF, and PCEF. The YateUCN also includes the IMS layers for VoLTE - PCSCF, ISCSCF, IWF, and BGW. It communicates with the YateENB (LTE eNodeB module) over S1AP and GTP protocols and uses a JSON API for configuration and management. The YateUCN also implements the functions and protocols of GSM/GPRS core networks. In a GSM/GPRS network, the YateUCN acts as a MSC/VLR/SGSN/GGSN/GMSC in a single server. It connects to the YateBTS (GSM module) over GTP and SIP, replacing the costly SS7 MAP-A interface (BSSAP protocol). This leads to a higher return on investment without affecting the reliability of the network or the provided services. The unified core network solution is based on replacing the eNodeB with the YateENB (LTE) and the base station subsystem with the YateBTS (GSM).. Runs on commodity hardware, allowing for a simplified network architecture and lower deployment costs. Enables carriers to deploy LTE networks with reduced initial investment. Allows for scaling as you go. You can add more servers or separate the functionality as more users adopt your service. Increases network resiliency; in case of equipment failure you can easily configure another server to take up the functions of the fault node. The SIP protocol establishes connection between the YateUCN and the YateBTS, allowing the SatSite base station to communicate with any YateUCN in the network. A Base Station Controller (BSC) is not needed between the YateBTS-powered SatSite and the YateUCN. Has low idle traffic, which allows transport technologies like satellite. The YateHSS/HLR stores and manages the SIM database for mobile networks. It also manages multiple subscriber identities (from different technologies) in one server, providing seamless services over different networks. It is designed for use in GSM, UMTS, LTE, IMS, WiFi networks or any other type of network that uses MAP or Diameter for authentication. The YateHSS/HLR includes a Home Location Register (HLR), an Authentication Center (Auc) (2G/3G) and a Home Subscriber Server (HSS) (4G LTE). The YateHSS/HLR exports a JSON API for integration with any SIM management and CRM systems. It is capable of interconnecting with all the VLRs implemented in a GSM mobile network, with any MME from a conventional LTE network, or with the YateUCN core network server. As it is also an AuC, the YateHSS/HLR authenticates subscribers as they try to connect to the GSM, UMTS, or the LTE networks, to make phone calls, send SMSs and access mobile data. The YateHSS/HLR is fully implemented in software and uses commodity hardware. Can serve as a proxy between an existing 2G/3G HLR and an LTE network. Uses the SS7 MAP interfaces when serving as an HLR with other 2G/3G network equipment. Supports groups for mobile data and CAMEL profiles. Scalable by adding more HSS/HLR components, either distributed or load balanced. Exports a JSON API for custom features. Managed via a web-based management interface. The SatSite Model 142 is a complete 4G LTE eNodeB, containing both the radio and baseband functions. It can also be configured via software to operate as a 2.5G GSM/GPRS BTS+BSC.